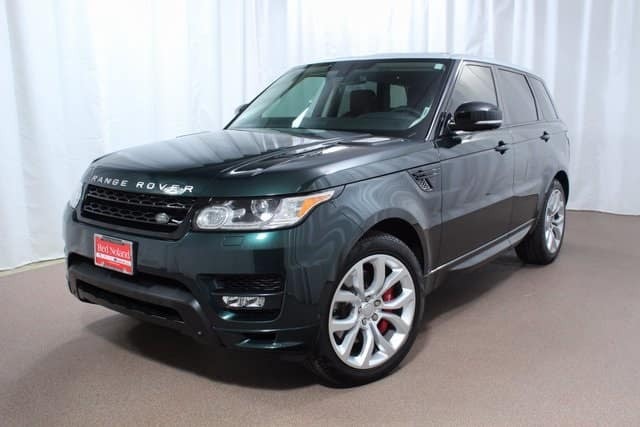 Land Rover Colorado Springs currently has this gorgeous Approved Certified PreOwned 2015 Land Rover Range Rover Sport Autobiography in our inventory! This extremely luxurious SUV has only 20,000 miles on it and has a price tag of less than $80,000! Equipped with a 5.0L V8 supercharged engine, you get plenty of power and 14 MPG city/19 MPG highway! In addition to the Autobiography package, you are also getting many other great features. That includes a Meridian sound system, Driver Assistance Package, tow package, InControl remote, power sunroof, and many more! Plus as an Approved Certified Preowned Land Rover vehicle, you get peace of mind with a 5-yr/100,000 mile warranty. It also includes the 165-point inspection, 24/7 roadside assistance, Land Rover Concierge, and a vehicle history report! So stop into Land Rover Colorado Springs to learn more about this luxurious and capable Range Rover SUV. Let our Land Rover experts show you all of the exciting and innovative features that will make this an amazing vehicle for your daily commute and weekend adventures!